A drug that was under the radar has now been used by half of the student population according to a Highlander survey. “There has been an exponential increase in use over the past few years,” said local M.D. Samuel Fawaz of Beverly Hills Internal Medicine. According to the Mayo Clinic Hookah is created when specially made tobacco is heated and the smoke passes through water and is then drawn through a rubber hose to a mouthpiece. Fawaz said that the American Lung association has found that Smoking hookah for an hour is equivalent to smoking 100-200 cigarettes. According to Fawaz, users of hookah can acquire the same diseases as cigarette users including lung, oral and esophageal cancers, heart disease, stroke and emphysema. Fawaz said that in the future there will be a large increase in various types of cancers, like those stated above, because of the current trend. Senior hookah user Jack Taylor* said that most of his classmates don’t understand the dangers of hookah. “I think it is growing in popularity because there is a misconception that it is safer than doing other things,” said Taylor. Seaholm Highlander survey data aligns with Taylor’s predictions, as more than 50 percent of students said that they believed hookah was safer alternative to cigarettes. Fawaz said that he is started to see the effects of hookah right now, as increasing numbers of patients are coming in with oral herpes. Oral herpes often results from sharing hookah pipes and sticks with others. There are two methods of smoking hookah, a pipe and a stick. The survey indicated a fifty spilt in regard to Seaholm student’s preference. A hookah pipe is commonly found at a hookah bar while sticks are available for purchase and are portable. Regardless of how students choose to smoke hookah, it is illegal until they are 18. Johnson said that she thinks more students have started to smoke hookah because they are 16 or 17, which is only a couple years away from the legal age. Fawaz said that enforcing laws to ensure minors are not sold hookah, or tobacco in any form, is key to stopping this growing trend. Fawaz has created a Hookah awareness coalition in cooperation with Beaumont Health systems to raise awareness about the effects of hookah smoking in teens and adults. According to Fawaz, education is the most important tool in the hookah academic because hookah is a legal product. “Education on many levels. 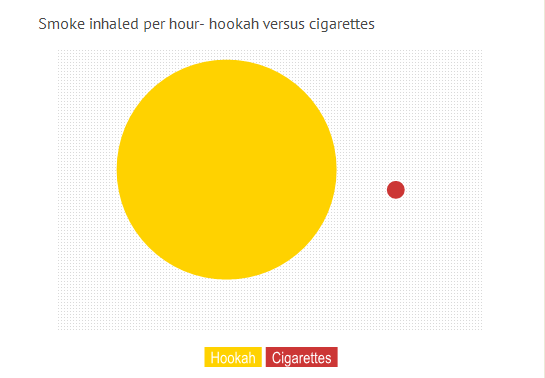 Education about the hazards and the reality of smoking hookah,” Fawaz said.